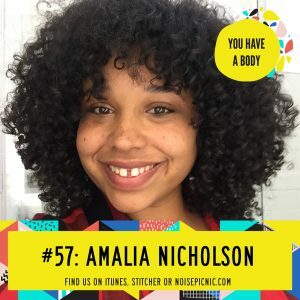 Amalia Nicholson is a Twin Cities local, working in the advertising and film industry, being a total badass babe and speaking her truth. Amalia is ALSO one of Solcana Fitness’ newest brand representatives and has deep ties to the body positive movement, starting from her love of fashion, identification as a fat person and the difficulties she’s had through the years finding clothes that bring her joy–AND fit her! Like what you’re hearing? Great! Leave us a review in iTunes and we’ll send a personal shout out on an upcoming episode to you! Learn more about Amalia here!